Shingle Roof Supplies Australia supply and install American asphalt shingle roof systems. We are the proud Australian sole distributor for IKO Corporation North America. IKO are one of the big 3 manufacturers in the US and have built a strong reputation for quality throughout the industry. IKO is the biggest exporter of asphalt shingles Worldwide. We pride ourselves on building the best possible roof at the most affordable price. Our team experienced “full time” asphalt shingle roofers have completed hundreds roof projects. 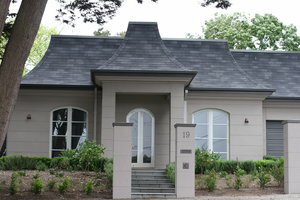 We have build many new shingle roofs, replacing tiles, metal, wood and asbestos throughout Melbourne and Victoria. When it comes to re-roofs (replacement roofs) with asphalt shingles we would have the most experience team in Australia. 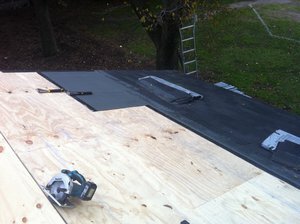 Our shingle roofers install the complete system from the plywood base to the last shingle. With a large team of full time shingle roofers specializing in asphalt shingle roof systems your roof project can be completed in record time. A standard size home can be completed in around three to four days. This is peace of mind when so many trades are waiting for the roof to be completed before they can start. 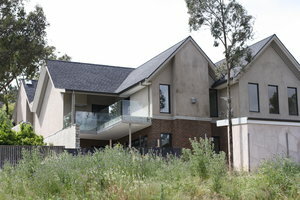 SRSA have a large range of clients ranging from Architects, Builders, Owner builders, Roof Companies and DIY Handymen. 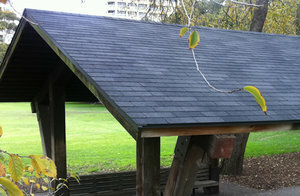 We have built shingle roofs for Melbourne councils, churches and school halls and also backyard gazebo’s and sheds. 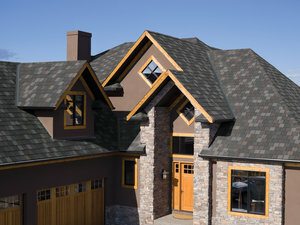 Our shingle roofers are willing to travel interstate to complete your roof project. We have also spent a day or two with builders to teach them the installation technique with fantastic results. We supply the DIY market in Australia for new and roof replacement projects. Mums and dads are completing sheds, gazebos and pergolas while the more confident are finishing their own homes with brilliant results. For more information and to find out how we can help you be sure to contact one of our friendly Experts on 0413 742 745 or fill in our simple inquiry form and we will call you.